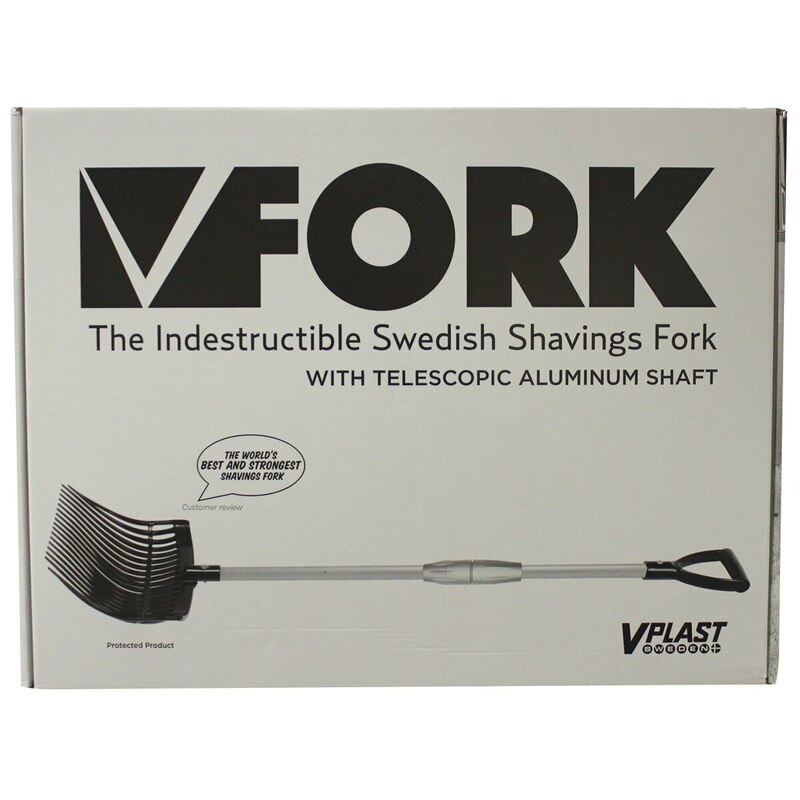 Finally, a virtually indestructible shavings fork! 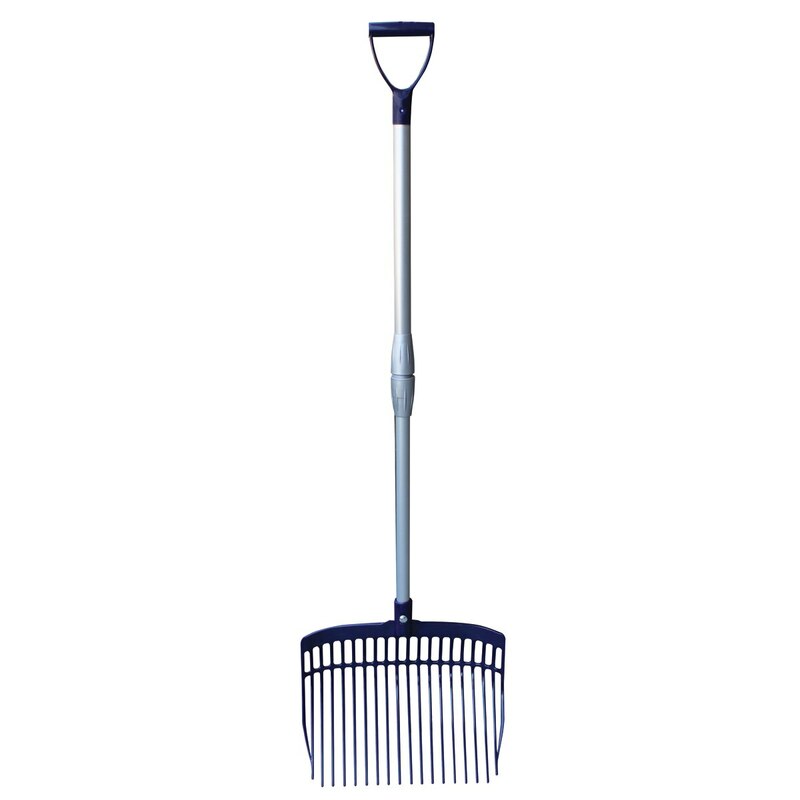 The V-FORK BOX BLUE is an original Swedish design, made with an easily adjustable telescopic aluminum shaft and durable yet lightweight plastic fork head. The handle can be adjusted from 75cm to 115cm for easy use by children or adults and easy storage! The fork head can withstand the force of being run over by a truck without breaking. Fork and telescopic shaft come conveniently packaged in a small box. Available in red or blue. Manufacturer’s Warranty.